With surging crude price providing the backdrop to energy development agreements between Lukoil and Rosneft, Business RT spoke with company CEO Vagit Alekperov about the outlook. RT:Not just that. I’d like to start with shelf projects and the amount of investments. VA:“Alright. 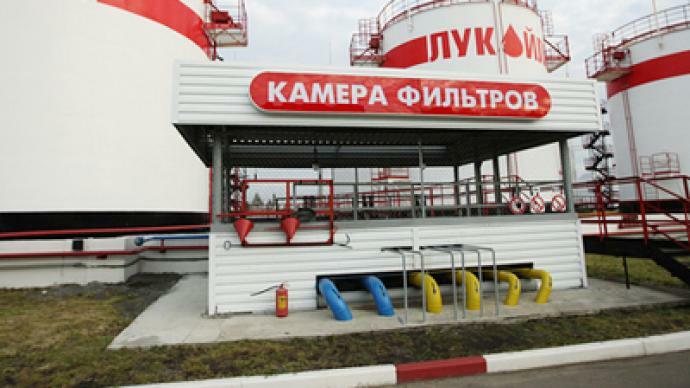 Since 1994, the Lukoil Company has been working in the northern part of the Caspian Sea. While preparing these projects, we’ve started the industrial activities already. Last year, the prime-minister introduced our first oilfield named after Yuriy KORCHAGIN, which boosted the development of the sea-based oil production at the Caspian Sea in Russia. As for the years to come, a new oilfield named after FILANOVSKIY will be introduced in 2014, and another one, in 2016. And new oilfields be introduced every other year. The overall production volume at the Caspian Sea will amount to about ten billion cubic metres of gas, and about six to seven and a half million tons of oil, per year. The company’s total investment in the development of the projects in Northern Caspian Sea region will be approximately 22 billion dollars over the period of 15-16 years. We believe our company has made a unique input in the oil-producing industry by opening the new ‘oil province’, the northern part of the Caspian Sea. Today the company intends developing other shelf projects as well. We’ve developed a Baltic Sea field that has been in steady operation for ten years. From the environmental viewpoint, according to international expert assessments, it is one of the safest objects in the Baltic Sea. Our unique technologies and technological solutions were applied at the Barents Sea. The terminal that works today at the Barents Sea in the Varandey Cape area has been working steadily for three years, and producing oil all year round. This is the northernmost terminal in the world; and it has been in steady operation in the north of the Timano-Pechersk oil province. The company also intends participating in international projects. We have technologies; and we drill holes in the shelf of the Republic of Ghana, in the Gulf of Guinea where the depth is about two kilometres. This experience enables us to feel rather comfortable at any depth of the Caspian Sea. For instance, we drilled a probe hole in the deposit in the central part of the Caspian Sea at the depth of 600 meters. RT:Speaking of your partnership with Rosneft. 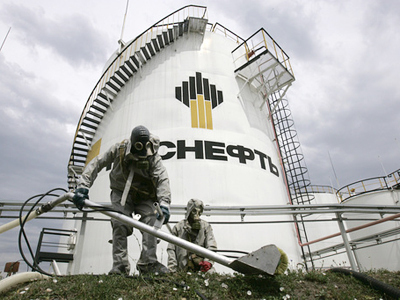 What do you think Rosneft needs from this partnership? It was clear with the case of BP – we were aware that they needed technologies – at that time they wanted to draw a contract with them – as BP was had intentions to invest a billion dollars. How much is it that you are going to invest? And what else is necessary? Technologies, experience? 3) Financial stability and a possibility of access to cheap resources necessary to implement large-scale projects during a lengthy period of time. Lukoil has all these qualities. In other words, we are stable in terms of finances. We have unique cadres who are implementing projects largest in the world – including the shelf ones I mentioned, among them Kurna-2, a major project and the biggest in the world – the latest prospected oilfield of such a scale the company is putting into operation on its own. We have no doubt it will start producing oil in 2013. So, we are a good partner for Rosneft. We can also undertake certain financial obligations to implement joint projects on the Black Sea where Rosneft – our friends and colleagues – have a licence for prospecting. We also work along in Timano-Pechora and could unite our efforts and jointly develop the oilfields owned by Lukoil and Rosneft, which could be more efficient from the economic point of view – we could thus start production sooner and at a lesser cost. We can work along on the Barents Sea shelf, too. It is true that the current laws of the Russian Federation present certain restrictions for foreign and private companies in accessing the resources on the shelf. On our part, we are interested, through partnership with Rosneft, start developing the oilfields. Our goals is clear. According to our agreement, before 1 September we are to submit plans for specific projects to the Russian government, for it to estimate their efficiency and issue a permission. We should not forget that Rosneft is a state-run company. In other words, the government has the right to pass decisions and either approve or disapprove a partnership. Now Rosneft is forming a partnership and will be doing so in the years to come. You know that Deputy Prime-Minister Igor SECHIN attended the ceremony of signing our agreement and gave it the green light. I hope that by 1 September our joint teams who have been working hard will prepare particular proposals. RT:Are you ready to make any information on investments public? VA:“Every year of prospecting, particularly in Arctic seas, needs from three to seven wells to be bored. RT:Are you ready for that? What is there you can offer? VA:“Of course we are ready. We are ready to make offers to Rosneft, and Rosnet will do the same, on its part, since we are partners. We are not a foreign company, which should always be taken into account – Rosneft and our company are partners within the country, each of us being able to contribute an advantage to the common cause. RT:Did their deal [with BP] fail or is just delayed? RT:My last question on the subject is: should BP re-establish its co-operation with Rosneft, how will your co-operation with Rosneft continue developing? Will the BP factor have any impact? VA:“I don’t think it will. We are now having perfect relations with Gazprom – we’re having joint projects. And we’rehaving perfect relationship with Rosneft. In fact, we are working with all major companies of the world. RT:Your colleague, Mr. Fedun, mentioned that Lukoil is going to get listed at the Hong Kong Exchange in 18 months. VA:“The market is rather volatile, so are the current oil prices. There is a big portion of speculative capital in the oil price. So, we would like to wait until the situation becomes stable, when the market becomes stable and will definitely go out of the financial crisis, when a dynamic development of the industry starts. By that time we could clearly forecast the our product growth dynamics – of oil and gas, after which we would be able to offer investors some projects, including those related to emerging markets. As for our company, it is first and foremost the eastern market, emerging now. There are not many companies present there, so that market is very interesting for us. It’s hard to say, though, when it will be possible, that is why Leonid FEDUN is now busy with strategic issues – he is taking into account various options, aspects and risks. RT:What is the “stable” price of oil, in your opinion? RT:You said not long ago that the tax burden of more than 60 % is too much for the company and slows down the modernisation. What taxes would you consider sensible? VA:“If we take into account all our companies, they all would appear many-fold underestimated for one reason: the tax burden on companies in the Russian Federation is much higher than it is generally accepted in our industry on a global scale. Why do I say so? It’s because a company that produces 6 % of the amount produced abroad gets about 20 % of the profits. This is the difference. In addition, it’s some decisions of the government affecting the economy of energy companies. First, it’s gas utilization. Huge investments are needed in order to collect the gas and utilize it. Second, it’s new technical regulations for a transition to new types of fuel. We will need it as early as 2012-2014. This also implies an immense spending on the modernization of oil refineries. And, third, we’ll have to increase the refining depth to 75 and later to 92 percent. I mean all those programs will involve huge investments. 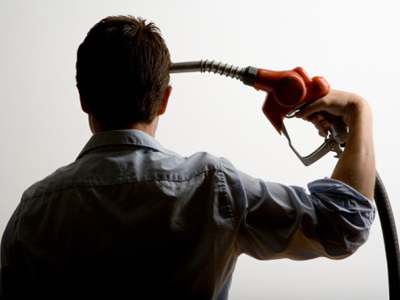 At the same time, we see grow the excise burden per litre of fuel that we sell to our consumers. All of this has a negative impact. Of course, we do understand the public. The public has the right to demand a fair price. But the question is: What is a fair price? Currently our fuel sells almost30-40 percent cheaper than in the neighboring countries – even in Belarus and Ukraine, let alone the Baltic states. Today we are losing a huge amount of fuel, particularly in the bordering states. It’s of benefit for all carriers to fuel up in Russia and transit through neighboring countries without refilling there. But this means 26,000 camions a year, a day, crossing the border between Belarus and Russia. RT:How much will it grow? RT:But you failed to answer my question. When we spoke about 60 percent, I asked, what tax burden you considered as a fair one? VA:“Hard to say. There is no such thing as good taxes. All taxes are bad. We believe that even 90 percent should be levied occasionally. When there are no investments. I mean we should have a flexible tax system. Why do we say that we must introduce an income-added tax as soon as possible? I mean our industry should be the main supplier of resources for the budget. This is only natural because the mineral resources are publicly-owned. We just operate those resources. But now that the project is in its period of development, when immense investments are being made, the state shouldn’t levy turnover taxes such as the severance tax, the export duty, and so on, and so forth.Taxes ought to be levied when a project is well advanced. In that case even 90 percent should go to the state, with the remainder left for maintenance. But in that period there are no investments. Currently, however, we do pay taxes even though we are just at the exploration stage. RT:And the last question. Does this tax burden make some of your overseas projects of more interest for you? What new projects are you now considering? VA:“Today we are working in more than 42 countries of the world. I mean we are considering issues linked with geological exploration. 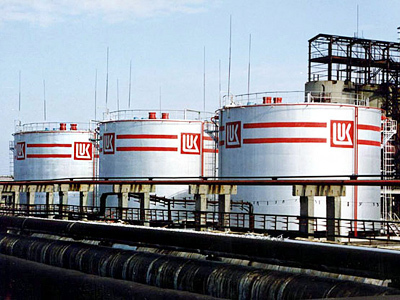 LUKoil possess a unique technological potential. We have fine geologists on our staff. I mean this company discovering the North Caspian Province is a unique event! Many our employees were awarded state prizes for this discovery. Never in the Soviet history was the North Caspian area regarded as promising in this sense. Azerbaijan, Kazakhstan, Turkmenistan – certainly! But not North Caspian. And yet we managed to figure out this province and discover it.